How do I implement a global reward and recognition scheme? 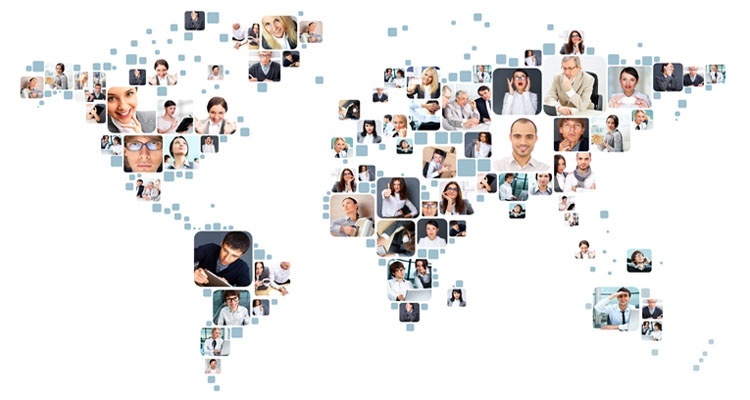 It’s easier than ever for businesses to operate on the international stage and we deal with an increasing number of employers looking to engage and motivate a workforce spread across the globe. One common challenge amongst such organisations is the need to implement a coherent reward and recognition program across different offices, countries, time zones and languages. Yet whilst implementing such schemes can be a challenge, there are many clear benefits. Such an approach fosters better employee engagement, motivation and wellbeing across the board, ensures consistency across the different regions in which an organisation operates and can maximise efficiencies in terms of administration, human resource and cost. To make a global employee recognition scheme a success, employers need to give local managers the power to localise elements of the strategy whilst at the same time maintain strategic control. So what does that mean in practice? The best employee reward and recognition programs utilise fully automated, online portals that can be accessed remotely. These make it quick and easy to nominate colleagues, publicly celebrate staff achievements and redeem rewards. By using a centrally managed online portal as the hub for all recognition-focused activity, organisations can make it easy for workers in any location to get and feel involved with nominating and receiving recognition awards wherever they are, whilst at the same time ensuring there is a consistent, overarching strategy. The technical functionality of portal-based programs allows for greater social recognition, via tools such as winners walls, message panels, likes and colleague notifications. Automating the approval process for granting recognition awards means that you can introduce operational efficiencies on a global scale whilst also capturing insightful data about how a scheme is operating. Employee recognition can be used to directly address some of the challenges that arise from having a global workforce. Organisations often struggle to create a genuine culture and set of values that rings true across the globe. Employee recognition can make a real difference here. By being very clear about which behaviours are being rewarded, how and why, employers can clearly reflect the values that really matter to their organisation. The starting point of any program should be to determine the best fit for the culture and demographic of your workforce. It’s therefore important to give local managers the autonomy to make the scheme relevant to their teams. Localise the recognition awards that you offer and consider working with local suppliers to deliver local rewards. Managers will also have a crucial role to play in driving social recognition. Team moments are a crucial part of recognition and though digital, social recognition tools now form an important part of many recognition strategies, organisations should not lose sight of the importance of face-to-face presentations as an effective form of ‘social recognition’. Likewise, local managers should be given the autonomy to undertake spontaneous acts of recognition. Our own research on this topic found that receiving rewards spontaneously and for good work was more likely to make employees feel recognised than receiving them at events such as Christmas or on their birthday. There are of course many differences that need to be taken account, from language and culture to cost of living. Living costs can differ dramatically and should be a major consideration – recent stats from Mercer, for example, found Asian cities dominating its cost of living index, with Hong Kong taking the top spot. It’s therefore advisable to develop a currency cost of living (parity) index to ensure consistency and price parity across the board and aligned with both local and global budgets. This needs to incorporate much more than just foreign exchange and should take into account consumer goods and services, hospitality and leisure costs in different locations. Practically speaking, schemes need to be delivered in the local language. This may mean facilitating a local language support team. Local redemption choices are also really important and need to take into account cultural differences. Some countries have different weekend days for example (UAE and Middle East) whereas some may have different attitudes to certain leisure activates. Other key considerations may include whether you want to allow cross-country nominations and how benefits may be delivered (e.g. vouchers or pre-paid credit cards). It’s important to take all of these factors into account when developing a global scheme, as they will dictate the design and build of your portal and the back end technology that is running everything. It’s always important to develop a detailed communications plan around the launch of a reward and recognition scheme, even more so on a global level. This should incorporate a range of different channels including posters, presentations, emails, internal intranet platforms, social media platforms, SMS messages, staff handbooks and more. It’s particularly important to have local managers engaged from the outset, so it’s important to clearly communicate the benefits of employee recognition to them and involve them in the process.